No cooking needed on Thursday March 28th! Eat breakfast, lunch, and dinner at one of the participating restaurants for a great cause! We are gearing up for our annual SJI Service Scholarship event ‘Dining for Scholars. Please help us support the local restaurants that support our local scholarships by dining out at one of the participating restaurants on Thursday March 28th. The more our community members dine out, the more funding for the SJI Service Scholarship recipients! 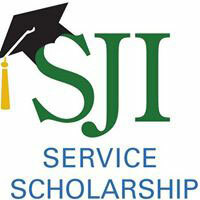 In case you don’t know about the SJI Service Scholarship program here’s a quick rundown… This program allows local students to receive $1000 scholarship toward their future educational plans (trade school, tech school, 2-year school, 4-year school, etc) based ONLY on service to our community.